Moving at warp speed, dodging asteroids and more, the Buddies and their two new friends, Spudnick and Gravity, must summon their courage and ingenuity to launch plans for a moon landing and a rocketing trip back home. 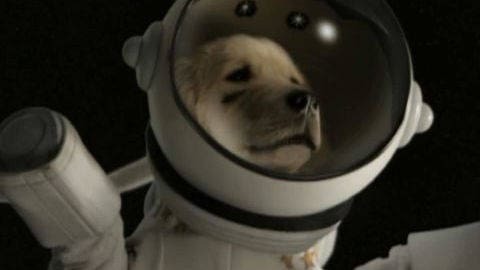 Live the adventure of Disney's Space Buddies with a sneak peek at scenes from the movie. Moving at warp speed and dodging asteroids, the Buddies must land on the moon and return home in an out-of-this-world adventure. 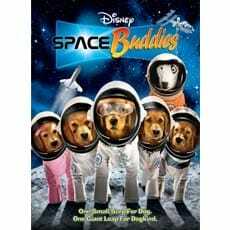 Moon land again with the Space Buddies in high definition. BD-Live: Connect With Family And Friends Through This Innovative Movie-Watching Experience! Disney's irresistible talking puppies are back in an all-new movie that takes them halfway across the world to ancient Egypt. In a race against the Howlloween Hound, the Buddies and their new friends, Pip, Zelda, Rodney and Skip must stop Warlock the Magician - and save the world from his dastardly deeds. The Buddies venture to the frosty arctic and team up with new friends in a thrilling dogsled race across Alaska. The daring dogs have to band together with their new pals, Talon and Shasta, and muster up the courage to face the fur-raising challenges ahead. But will they have what it takes to win the race and find their way back home? 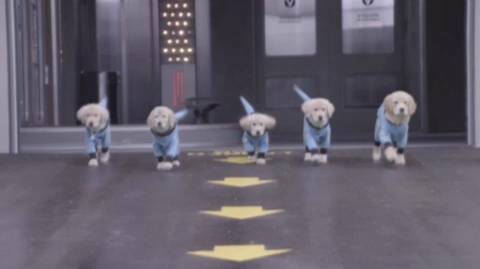 Air Bud is the proud father of five adorable puppies – the hip-hoppin' B-Dawg, lovely RoseBud, mellow Buddha, dirt-loving MudBud, and the big fella Budderball – with an unbelievable secret: They can talk! The hilarious, hair-raising exploits of these barking, talking, ball-playing pups will have you cheering as they run off on a daring rescue mission to save their parents!